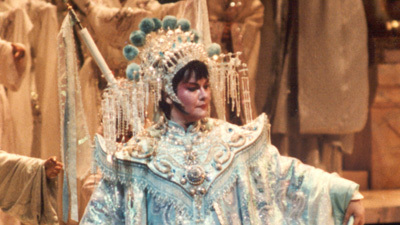 Franco Zeffirelli’s breathtaking production of Puccini’s final opera stars Maria Guleghina in the title role of the icy Chinese princess, who has all suitors unable to solve her riddles beheaded. Marcello Giordani is Calàf, the prince who eventually wins her love. 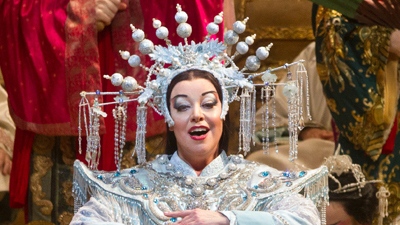 Marina Poplavskaya sings Liù, the slave girl who also loves Calàf, and Samuel Ramey is his father, Timur. Rising maestro Andris Nelsons conducts this Live in HD production.